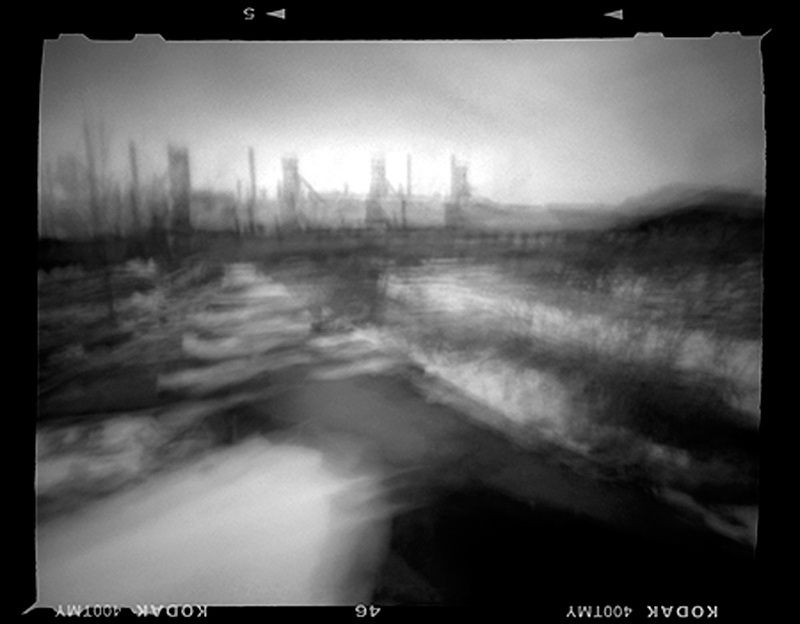 These black-and-white pinhole photographs show how the iconic Bethlehem (Pennsylvania) steel plant — “The Steel” to those who worked there — appeared in 2005. 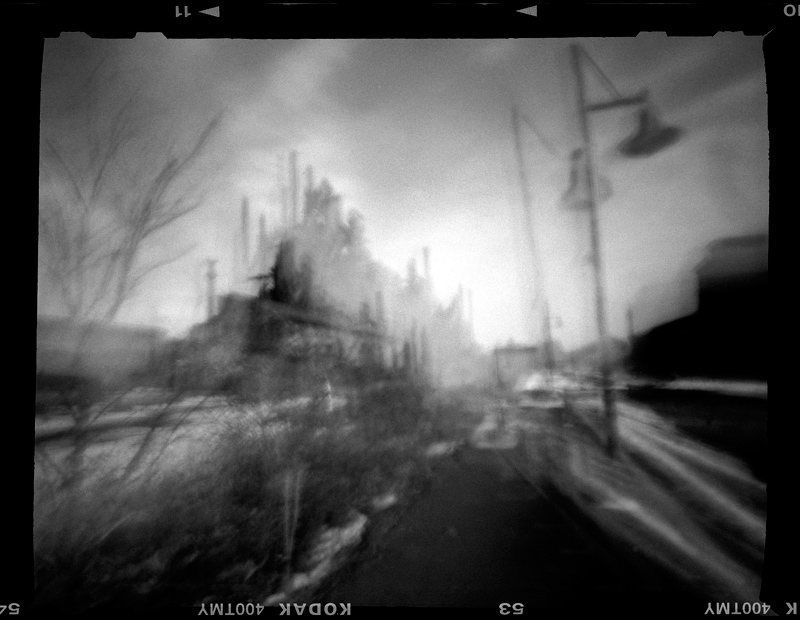 The sprawling complex sat dark, rusting and abandoned behind chain link fencing. The plant, which closed in 1998, had fueled the economic engines of the 20th Century, providing the ribs for battleships, skyscrapers, bridges and the interstate highway system. This year, part of the historic site has been developed into a Sands Casino and Resort.